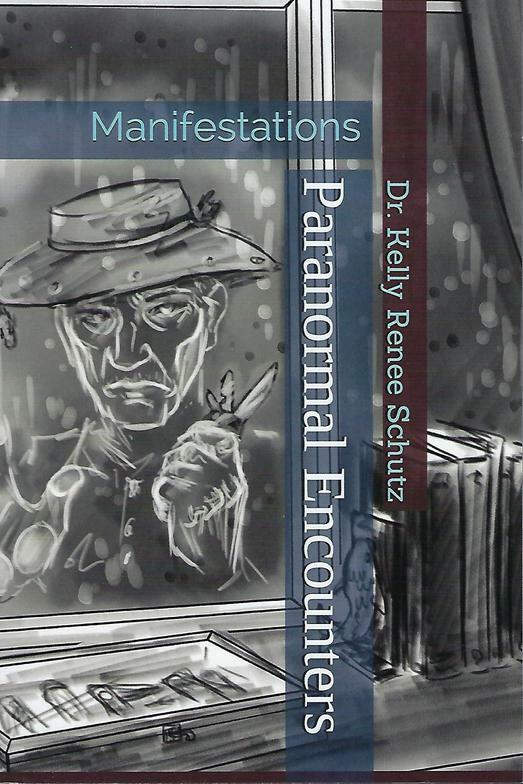 Published author and paranormal investigator, Dr. Kelly Renee Schutz, has launched a book series entitled, "Paranormal Encounters." 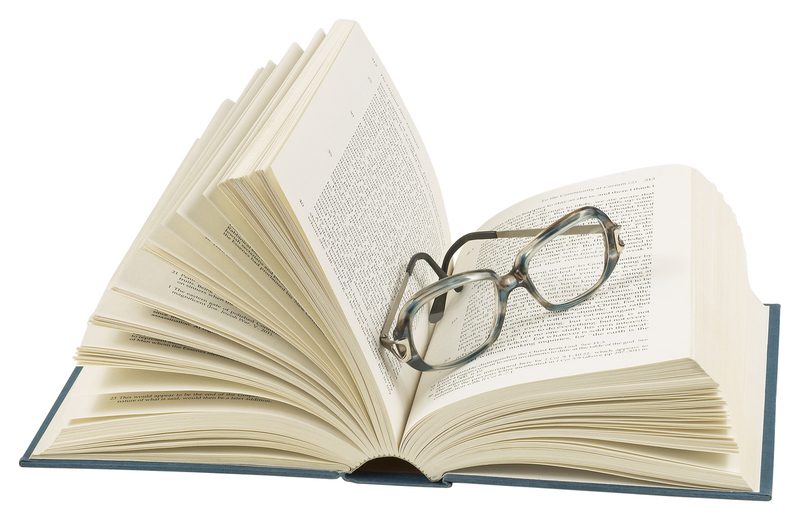 Books contain illustrated stories, topics, research, and bonus chapters. Book contents and descriptions are below. All books are in the Library of Congress, Washington, D.C., as well as on Amazon, Kindle, and Barnes/Noble. Has held several book signings since 2016. Dr. Schutz is an intuitive empath. She holds four advanced degrees, was a former legal investigator, and has an interest in parapsychology and life-after-death issues. She travels to locations within the United States and Europe seeking haunted locations to investigate. She has written nearly 100 illustrated personally experienced stories in her book series about various paranormal phenomena. Her show is ranked in the Top 1-2-3. All paranormal books are 6x9 with a glossy cover. 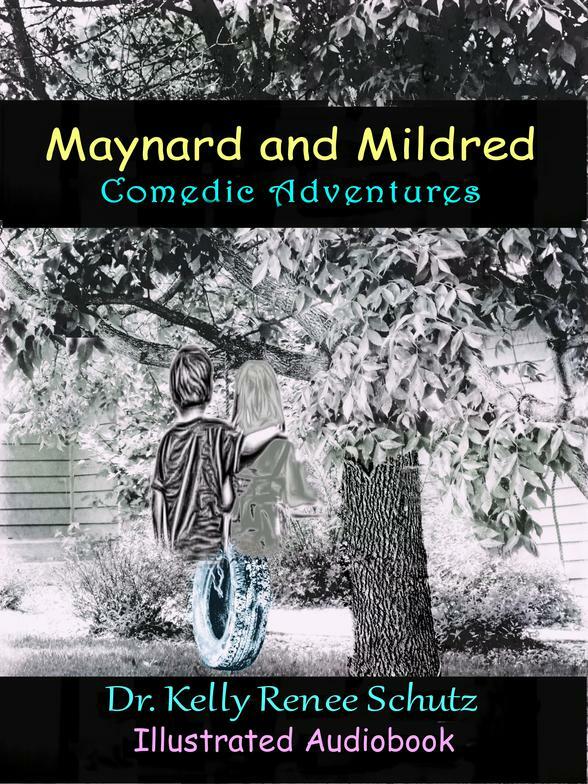 Book 9 (7x10) - Maynard and Mildred: Comedic Adventures is the only book and audio CD offered as a combo. If you prefer a MP3 rather than a CD, please indicate this in the notes section at the point of ordering. Descriptions for each can be viewed below. The cost for each single book (Books 1-7) is $15.00 (includes shipping, fees, handling). Book 8 is a large book (combines 4 books) and is $25.00. The book & audio CD combo (Maynard and Mildred) is $25.00. With this option, you may request an MP3 rather than a CD. If you buy two or more items, your discount from the total is $5.00. Contact the author at krschutz1@yahoo.com. PayPal and Debit/Credit Cards are acceptable. Each item above has a BUY THIS button (found on the cover). Once you click on this button, it will ADD your selection to your CART. If you change your mind, simply REMOVE the item from your cart. Make sure your order is as you wish before finalizing. Domestic Shipping (United States) is included in your purchase. Do not forget to provide clear details on your address, phone, and email, if needed for the notes box. Or, email me at krschutz1@yahoo.com with special instructions. If you would like your book signed, indicate that to me. International Shipping - due to high shipping costs, please order through Amazon.com. All books and book/audio CD (forthcoming) can also be purchased through Amazon.com. 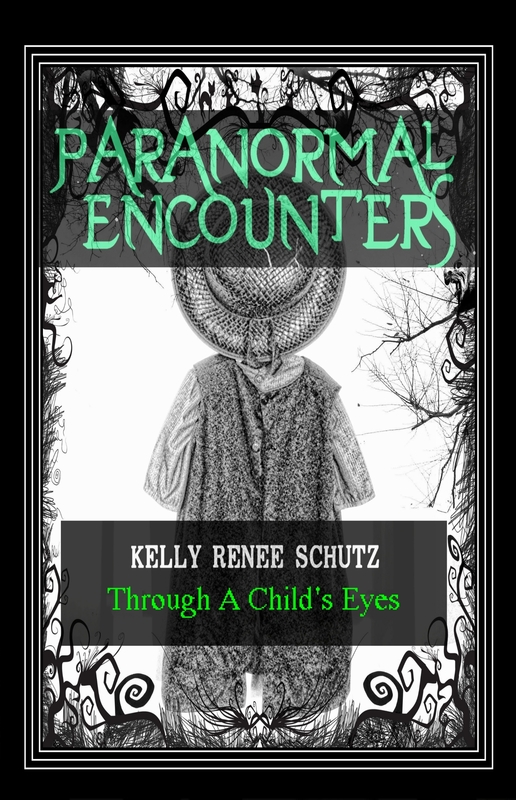 Type in kelly schutz paranormal encounters into the search bar. A Kindle version will also be available. Domestic orders from this website (unless back-ordered) will take approximately 4-8 business days. Packages are sent by priority mail. 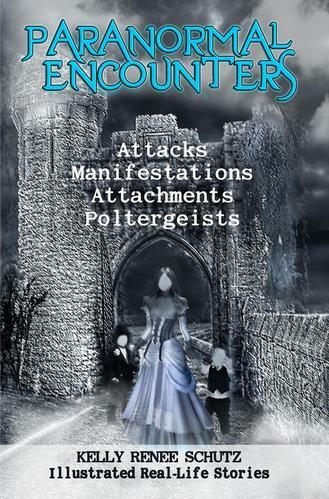 Paranormal Encounters: Attacks, Manifestations, Attachments, and Poltergeists. Topics include: Death, Superstitions, Ghost Attractions, and Hauntings. Stories include: 12 illustrated personal real-life stories. Bonus chapters include: Investigator Theoretical Tool Kit, Use of Ghost Equipment, and Debunking Unexplained Events. 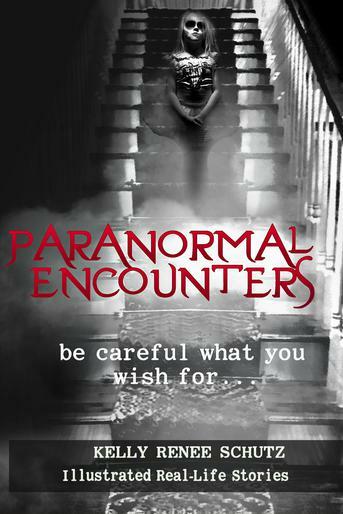 Paranormal Encounters: Be Careful What You Wish For. Topics include: Angels, Demons, Ghost Animals, Portals. Stories include: 12 illustrated personal real-life stories. Bonus chapters include: Investigator Theoretical Tool Kit, Use of Ghost Equipment, and Debunking Unexplained Events. 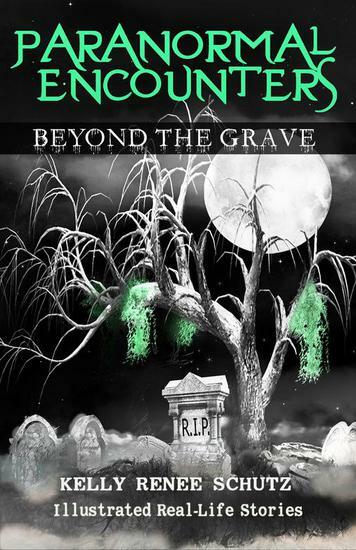 Paranormal Encounters: Beyond the Grave. This book combines the stories from Books 1 and 2 (24 illustrated personal real-life stories). No topics. Bonus chapters include: Investigator Theoretical Tool Kit, Use of Ghost Equipment, and Debunking Unexplained Events. 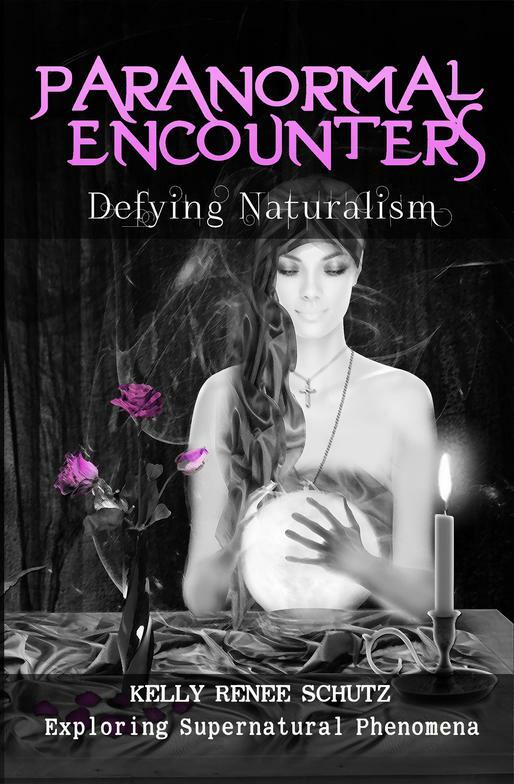 Paranormal Encounters: Defying Naturalism. This book is illustrated. It discusses 14 supernatural and paranormal topics. Topics include: Dreams, Near Death, Superstitions, Angels, Demons, Ghost Animals, Psychics, Ghost Attractions, Hauntings, Moon Phases, Energy Fields, Orbs, Vortexes, Portals, Spectral Sites. This book also contains some stories and bonus chapters -- Investigator Theoretical Tool Kit, Use of Ghost Equipment, and Debunking Unexplained Events. 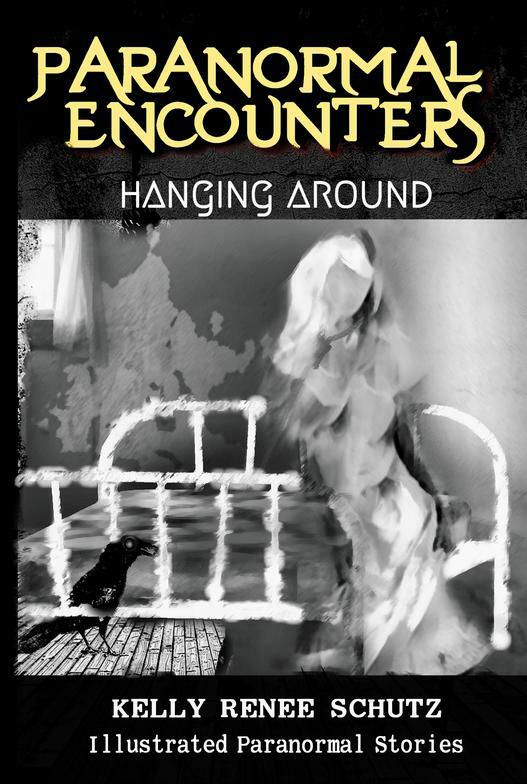 Paranormal Encounters: Hanging Around. This book contains 5 fiction (not real) and 20 non-fiction (real) stories as experienced by the author and contributors. No topics, one bonus chapter on debunking experiences. Paranormal Encounters: Through A Child's Eyes. This book contains research and stories as shared by young people ages 4 to 20. Permission of parents were obtained. Contains a few topics and one or more bonus chapters on adults experiences, black eyed children, and debunking experiences. Paranormal Encounters: Haunted Phenomena. This book contains 70+ illustrated paranormal stories (shortened from their original versions) as compiled from Books 1-6. Consider this book to be a catalog of experiences that provides a glimpse of all stories written in detail in the other books. 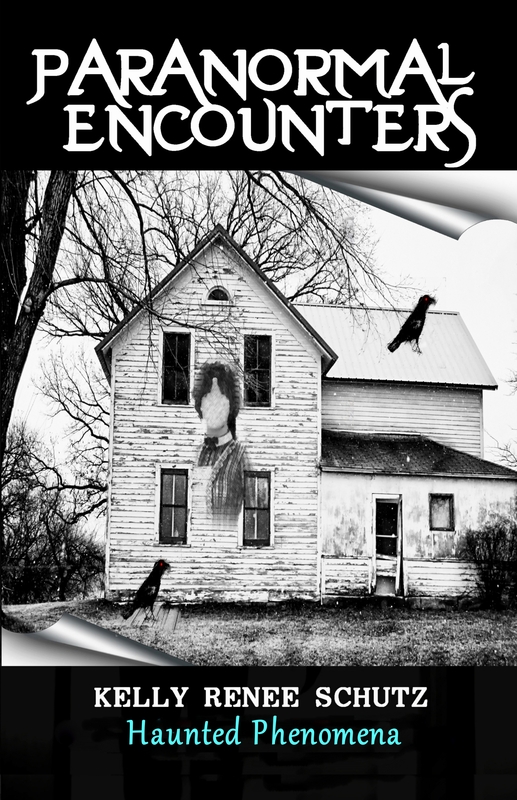 Bonus chapters may include investigator theoretical tool kit and debunking encounters. Paranormal Encounters: Manifestations. This book combines prior books 1,2,3 and 5. This book contains a few added stories. No bonus chapters. Maynard and Mildred: Comedic Adventures. Maynard and Mildred is a popular segment heard on my top ranked show, Paranormal Encounters Podcast Series. This comedic show can be heard on Podomatic and on the Para-X Radio Network (various dates). Maynard is a young boy who meets Mildred, his invisible ghost friend. She likes to tease him. Together, they form a partnership taking on life's greatest adventures. The artwork in the book brings the segments to life. The scripts are easy to follow. The 22 narrative skits (fiction) are enjoyable for all age ranges. DO YOU HAVE A STORY TO SHARE? Send me an email (see address below). Tell me your story. Individuals whose stories are chosen will be relayed on my podcast show and will receive a complimentary book. No Refunds. Only given if you receive a defective product. Each book and/or book & audio CD have been carefully crafted to provide you with an exceptional visual and auditory experience. You may contact me at my email: krschutz1@yahoo.com. Thank you for ordering. 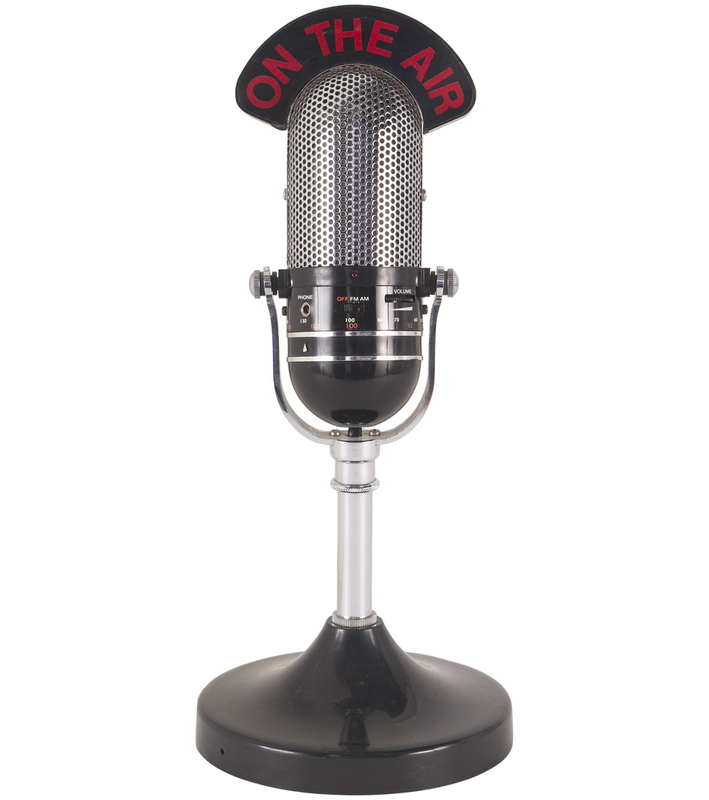 Click on the "PODOMATIC" LOGO below to hear my WEEKLY Paranormal PODCASTS and RADIO INTERVIEWS.